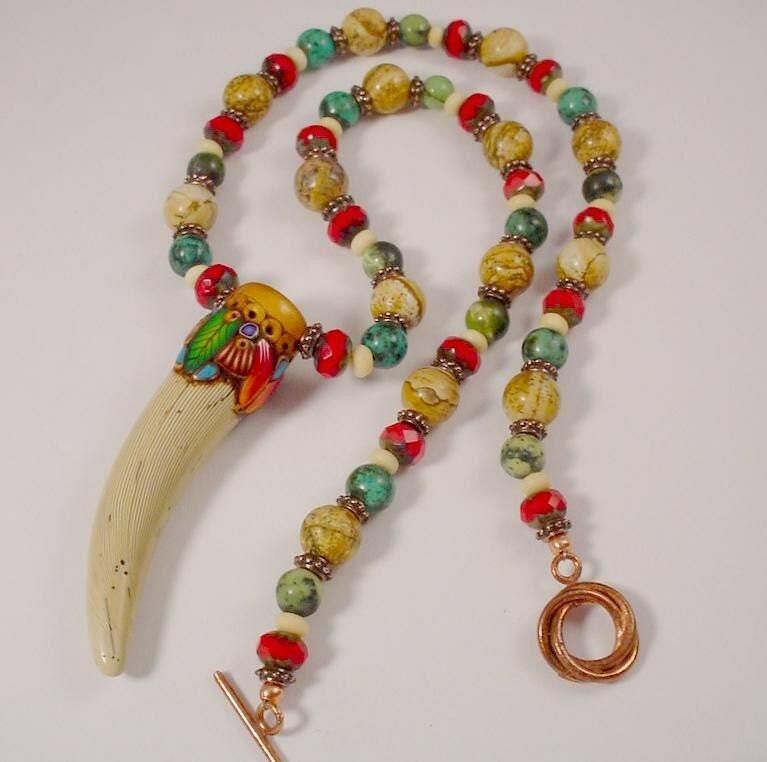 Lynda (SCdiva) made this amazing necklace using one of my decorated faux tusks/teeth. It's currently for sale on etsy! I have several more waiting to be stained and buffed... I just dread that process when my arthritis is acting up!!! nice and unique and pricey too. Great creation... so colorful and joyful! ... a little question... am I fool? I can't find your entrecard logo to drop on it!... where is it? just below my profile on the top left. I love that you feature the finished items from other artists. Very cool! Hey Jael..your entrecard widget really did disappear. the top of the fold bit is still there, but the widget went bye bye. Maybe the new blog layout? Apparently my entrecard was visible for some and not for others, because I was getting drops. Oooh, pretty. Fantastic job on both your parts!!! That is a great design - I love that tusk. Such wonderful colors in the rest of the piece really bring out the beauty of the tusk, too.